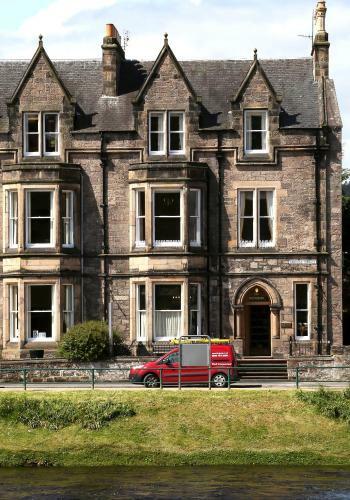 We offer a wide range of hotels near Inverness Caledonian Thistle from cheap accommodation to up market luxury hotels. Search our database of hotels to find the lowest rate for your stay closest to Caledonian Stadium. Overlooking the River Ness, this Georgian townhouse is a 5-minute walk from Inverness city centre. With oak furnishings and original period features throughout, No. 41 Town House offers free secure parking. Inverness City Suites offers stylish accommodation with free Wi-Fi and city views. Situated in the heart of Inverness, the apartments are a 5-minute walk from Inverness Railway Station. Set in the heart of Inverness city centre and overlooking the River Ness, Mercure Inverness has a gym, and free high-speed WiFi. Inverness Rail Station is 200 metres from the hotel. 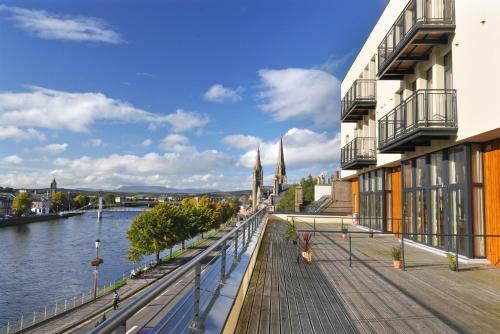 Situated by the River Ness in the heart of Inverness city centre, these luxury 4-star serviced apartments all offer free Wi-Fi and secure private parking, and are a short stroll from the city’s shops, restaurants, bars, and cafés.